A successful and stylish image was to be conveyed through every detail of this firm’s new headquarters. Lighting was to be tied into this image with appearance, function, versatility, and energy efficiency. 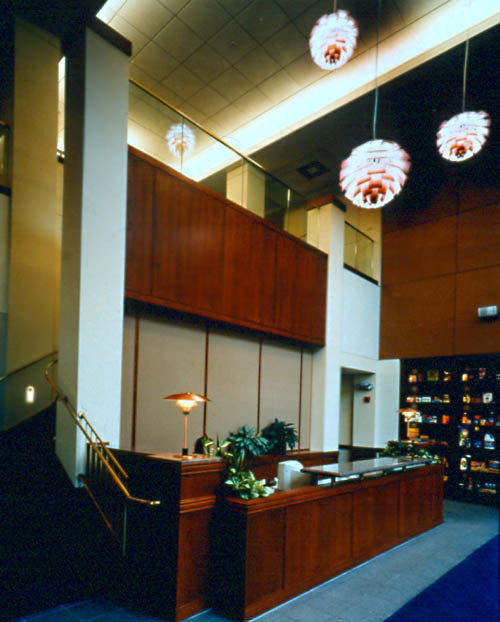 The atrium lobby presents a dramatic scene with the placement of floating copper pendants to provide general illumination for the space. 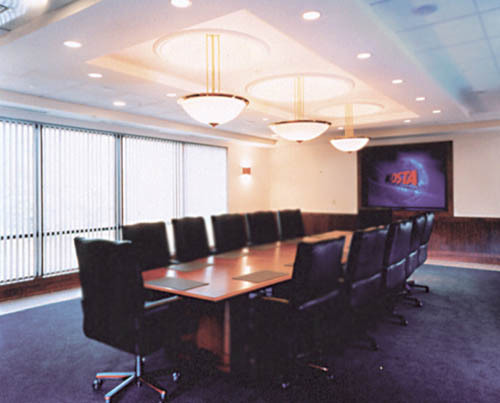 Supplemental lighting and human scale is shown with hardwired table lamps. 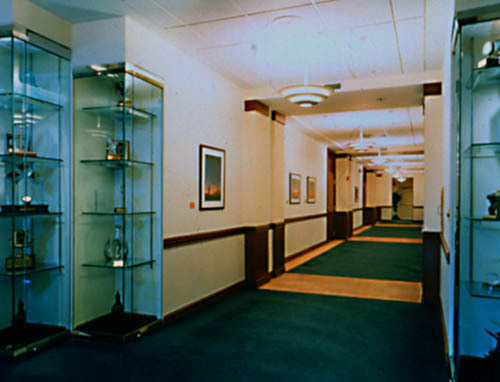 A striking rhythm of indirect lighting patterns is presented in hallways. 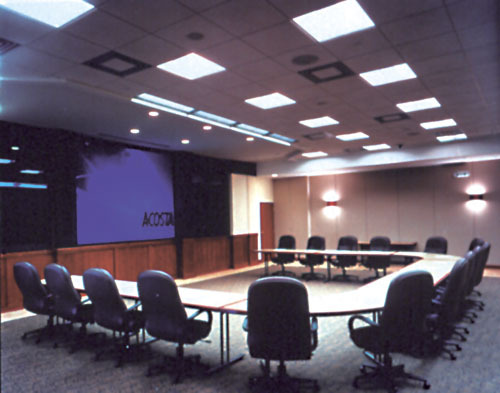 Programmable control systems provide differing lighting scenes for various presentations in conference and boardrooms. 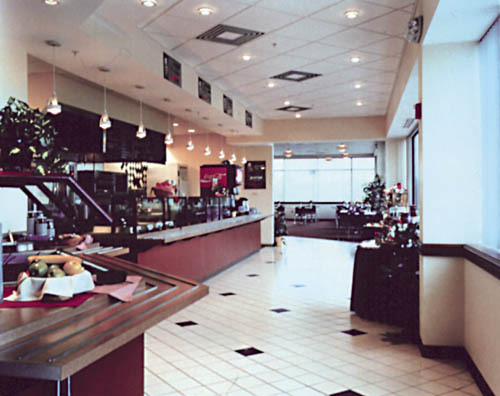 Cafeteria lighting offers a change of lighting type from fluorescent to incandescent for a re-energizing effect on employees.